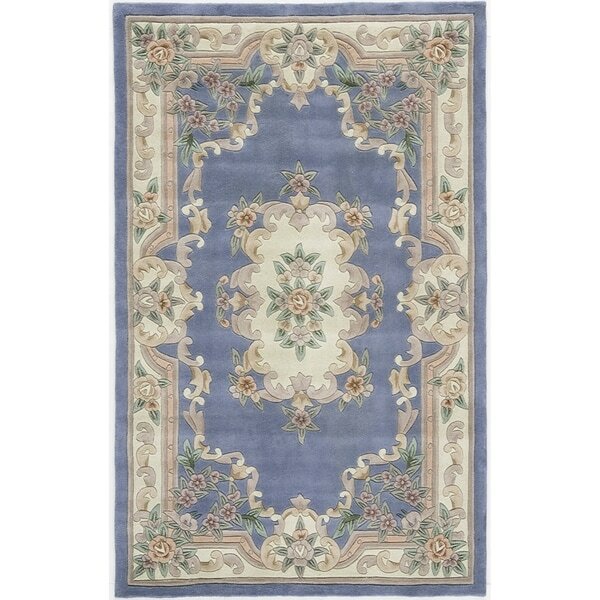 I purchased this rug and 3 of the same in different sizes, the rugs color is just as shown online! Quality is excellent! The rugs are very thick and plush, great purchase and we will be back to purchase more rugs from overstock.com. I would definitely recommend this purchase. Beautiful wool rug for my pale pink & blue bathroom. Wears well and always gets compliments. Great quality, wonderful colors and carving all at a very nice price. The colors aren't quite as bright as I though they'd be, but it's still a nice rug. I intended to use it inside my front doorway, but it was a little thick for that. Can't get enough of these plush, high quality rugs at such a great price! So far, No problems. Very cute with soft colors. Would recommend! Perfect size for my doorway. Like the color and pattern. I am very pleased with my purchase. It fit very nicely in the space I bought it for and exactly what I expected. I bought it at an excellent price. It was just what I was looking for---great quality! It works perfectly for the spot I had in mind. "Is there a runner available?" "Is this rug exactly 2 X 4?" Yes, this rug is 2 x 4 feet exact. I like the blue with pink details in this rug. For entry way to match large living room rug. To match a larger one I already have.